A brand new restaurant opened in the Magic Kingdom a few days ago. Located in Adventureland, this Jungle Cruise themed spot is called Skipper Canteen. 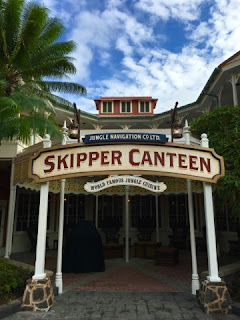 It is a table service location, where the cast members are all dressed like skippers from the famed attraction. It looks like a fun addition to the dining experiences at this park.